Needs changing over time, habits ready to change and awareness gets the better of habits. The progress is definitely a key factor of our society but more we run fast and more we need to know where we . 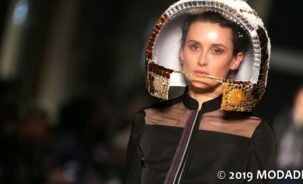 Fashion like any other industry uses technology and machine, objects and resources which always belong to the nature. That’s why awareness of RICCHI AMBIENTALI and the respect for our territory, of water, air and earth itself are key elements also for fashion whose is more concrete than we perceive from the magazines or Instagram posts. Consumerism and design are now connected by heavy chain that made lose value to the item of clothing to give advantage on quantity, although I don’t believe in apocalyptic prophecies and recognize the accessibility of fast-fashion , for the majority of society we needs to admit that the speed which these products are created doubt the quality and the sustainability of the productive trial. 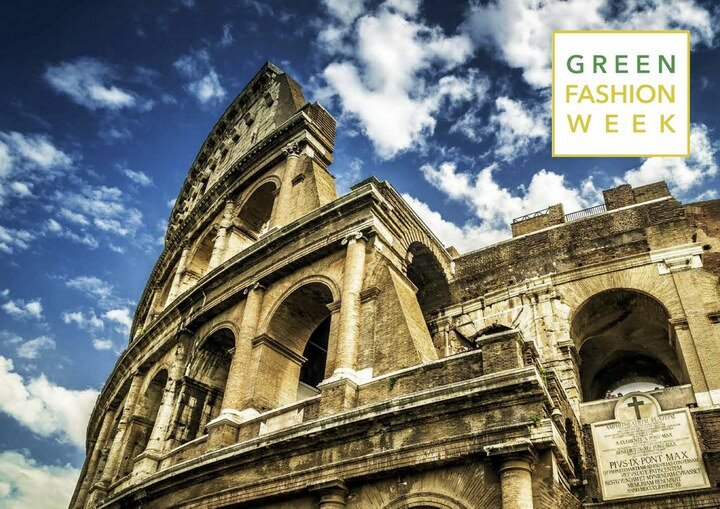 This is only one of the issue that inspires every edition of the Green Fashion Week, fashion event for sustainable design that this year for its sixth edition has choice Rome as host city, the city of the eternal beauty. The brands will be appreciated by journalists, blogger and experts in the field in the most suggestive artistic places of the city such as the Temple of Hadrian and the Foro di Augusto while the most curious citizens can assist to the fashion shows in the most famous streets like Via Veneto. Exclusive location reserved to the fashion shows of the 7th November , the Westin Excelsior it will entertain the presentations of some collections in the famous room Ludovisi. Organized by GD Major and the no-profit association FSA, the event tells a matter that goes over the fashion starting with the press conference the 6th November at the Rome Chamber of Commerce in which will speak about sustainability, innovation of fashion and working conditions. For the Roman edition will be protagonist the online no-profit platform Bookingcasting.com turns to the search of characters for fashion and show that want to undertake careers of actors/actress and models. We can only get ready for these Roman days based on exclusive and sustainable design. We are impatient to discover the collections that will be presented by the participating brands of which will speak better you in the next days. Remember therefore to subscribe to our newsletter not to lose the last articles and follow us in real time on the instagram stories to look closely what it will happen during the sixth edition of the Green Fashion Week.